SALT LAKE CITY October 20, 2017 – Attorney General Sean Reyes has joined with a bipartisan group of attorneys general from across the country in letters to 15 healthcare companies that provide pharmacy benefit management (PBM) services encouraging the companies to implement programs to mitigate prescription opioid abuse. The attorneys general also sent a letter to the president and CEO of CVS Health Corporation applauding the company’s recent program that automatically enrolled all commercial, health plan, employer and Medicaid clients in an opioid abuse mitigation program. 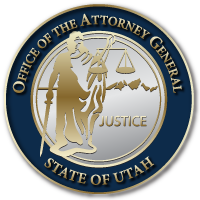 “As Attorney General, I have seen far too much devastation to Utah families and communities from opioids. In our fight against this epidemic we have learned that all too often addiction starts with prescription medication,” said Attorney General Sean Reyes. “I applaud pharmacies like CVS who are proactively implementing policies to lessen the likelihood of addiction by patients. We urge other companies to follow their lead. Limiting the duration and dosage of opioids, among other solutions, will likely decrease significantly the number of new addicts. In their letters to the PBMs, the attorneys general asked that the companies adopt similar measures as CVS, including limiting to seven days the supply of opioids dispensed for certain acute prescriptions for patients who are new to the therapy, limiting the daily dosage of opioids dispensed based on the strength of the opioid, and requiring the use of immediate-release formulations of opioids before extended-release opioids are dispensed. The CVS program’s requirements are similar to the opioid prescribing guidelines recently issued by the Centers for Disease Control and Prevention (CDC). “While there are no doubt additional measures that pharmacy benefit managers could take to combat prescription opioid abuse, we believe over-prescribing of opioids could be curtailed by the implementation of a CVS-type program,” the attorneys general wrote. Opioids, both prescription and illicit, are now the main driver of drug overdose deaths nationwide. According to CDC, opioids were involved in 33,091 deaths in 2015, and opioid overdoses have quadrupled since 1999. The Utah Department of Health reports in Utah 23 individuals die from prescription drug overdoses every month, and from 2013-2015, Utah ranked 7th in the U.S. for drug poisoning deaths. From 2000 to 2015 Utah saw a nearly 400% increase in deaths from the misuse and abuse of prescription drugs. In addition to AG Sean Reyes, those joining one or both of today’s letters include attorneys general from Alabama, Arizona, Connecticut, Delaware, Georgia, Indiana, Iowa, Louisiana, Maine, Michigan, Montana, New Hampshire, Rhode Island, South Carolina, Virginia, West Virginia, the District of Columbia and the U.S. Virgin Islands. Please click here to view these letters. This entry was posted in Recent Posts and tagged Opioid Crisis on October 20, 2017 .